Also known as APT, India's latest & most modern Seamless & welded Stainless Steel Pipes & Tubes Manufacturer. Chemicals analysis of sample from each coil is carried out in NABL approach laboratories to authonticate the grade and quality. A fully equipped in house laboratory helps check chloride content in the water and daily pickling. Facilities for other tests are also available with us which are carried out by trained professionals on calibrated instruments on regular basis. According to ASTM standard Tensile, Hardness, Flaring, Flange, Reverse Bend Tests are carried out on regular basis. Angel Pipes & Tubes Pvt. Ltd. determines the compliance of materials to applicable standards and specifications. We have extensive experience with mechanical testing methodology as well as the interpretation of the results. Our fully equipped machine shop allows us to produce the custom specimens needed for specific mechanical tests. 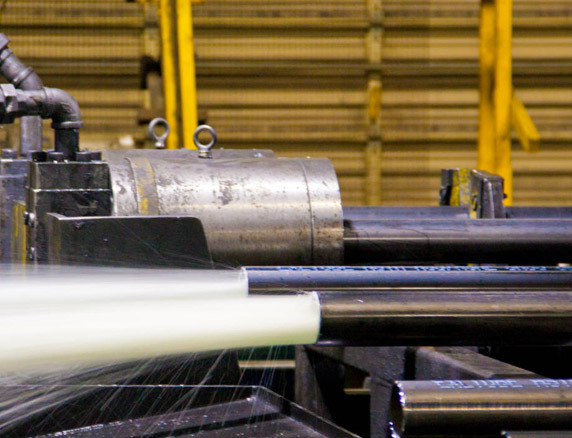 The mechanical testing and material testing we perform may be part of a quality assurance program, manufacturing engineering program, failure analysis or for materials research and development. Tests are performed to ASTM (or other industry recognized) specifications. All Pipes & Tubes of a non-destructive and / or destructive testing may be subjected. We have the HP-0 approval by the TÜV and also meet many other quality requirements. The surface hardness of material is checked with the help of Rockwell Brinnel scale on 30T scale. 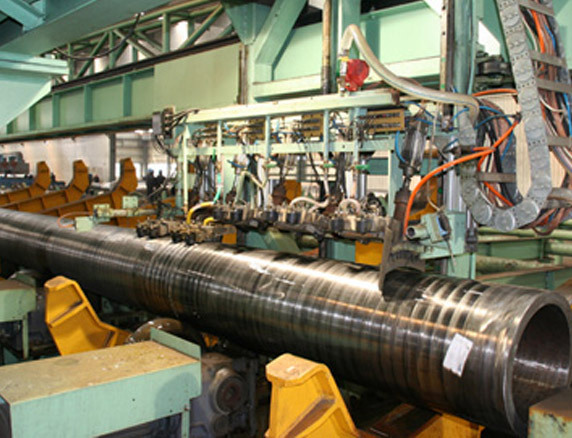 High pressure boiler tube hardness testing should take into account its mechanical properties, which is related to stainless steel as raw material for the deformation, such as punching, cutting processing performance and quality. Material hardness testing measures the resistance of a material to a permanent indentation of particular geometry over a specified length of time. Material hardness testing is an effective and efficient means to characterize a material and requires minimal sample preparation. Metallurgical Technologies, Inc. (MTi) offers Rockwell (standard or superficial), Knoop and Vickers Microhardness, and Brinell hardness testing. 100% Hydro testing is carried out on all pipes and tubes using a high pressure pump. This hydro test can detect leakage of liquid from the inner wall of the case outward can be observed with the naked eye or with a pressure drop to determine. Hydrostatic test can not be found through-wall defects but very close or very close to the wall thickness in depth but not yet fully penetrated defects. Conducted for each pipe eddy current inspection after the low and medium pressure boiler pipe hydrostatic testing is not necessary to replace the hydrostatic test eddy current testing. Hydro Test of Pipe & Tubes from 1/4 " to 24" NB ,UP TO 5000 psi, We are dedicated to providing the safest, most efficient, most reliable, cost effective and technologically advanced Hydro-testing service. We value our clients and strive for excellence in our project delivery. We conduct our business with utmost honesty and integrity, providing excellence in client service. 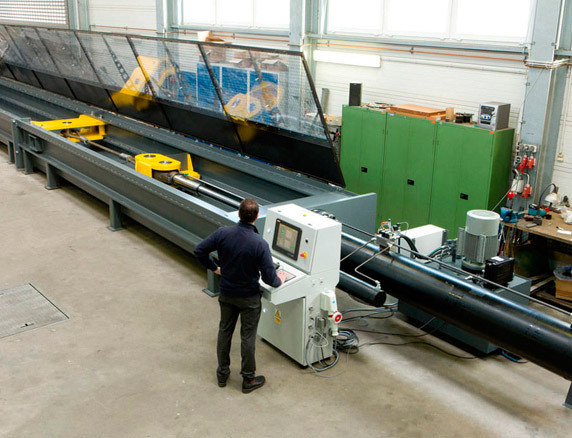 This test is carried out on the entire length of the tubes in order to guarantee the integrity of the hole tube wall. Eddy current testing is a non-destructive testing method widely used to examine tubing in heat exchangers, steam generators, condensers, air coolers and feedwater heaters. 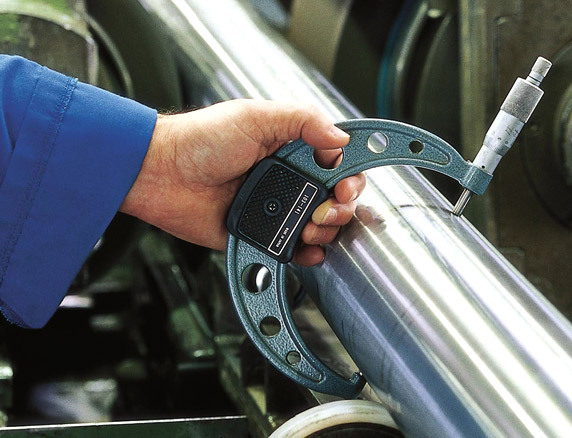 Eddy current testing of tubes is an effective way of assessing the condition and lifespan of tubes, particularly in the power generation, petrochemical, chemical, fertilizer and air conditioning industries. The technique is applied to detect corrosion, pitting, cracks, erosion and other changes to both the tube’s interior and exterior surfaces. It is a high-speed inspection method and one of the major advantages is that it can be performed through paint and coatings. The technique is only suitable for non-ferrous material such as stainless steel, copper and titanium. We also perform remote field and magnetic biased eddy current testing on carbon tubing. PROVIDING PERSONALIZED AND HIGH QUALITY SERVICES & PRODUCTS. The company boasts of a strong record in terms of understanding customer's requirements and prompt, process response to the needs of a constantly changing market ensuring immediate availability of material which represents an increasingly comprehensive response to the client's requirements. Copyright © 2017 | Angel Pipes & Tubes Pvt. Ltd. All rights reserved.